At Everything Pets and Supplies in Rotterdam and Westgate Plaza, we offer a totally private, self service dog wash! Our Self-Service dog wash is open daily during regular store hours. Don’t pay a hundred dollars to have your dog washed by a professional! Come and use our private facility, within our store, to spend the time with your canine buddy. 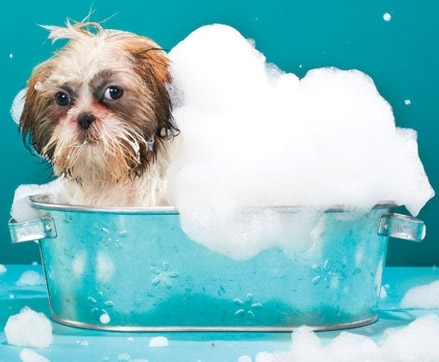 Bring your own shampoo, use ours or find the perfect shampoo for your dog in our large pet supplies store. We even provide the towels and doggie hair dryer so you can pamper your pooch afterward. We also offer full-service grooming by appointment in our Rotterdam store.